I have not get around to posting anything for a while but I thought I should share a photo of the cake my husband Alex decorated for our daughter’s birthday last month. She planned to have friends old and new come to her flat for tea and cakes. When I mentioned making a cake Isla said that her real favourite was gingerbread so I made an iced gingerbread cake for her. Then Alex got in on the act. Isla is a great Studio Ghibli fan and has some Totoro cushions. So Alex painted the cake with an image based on the film “My Neighbour Totoro”. The cake was a surprise and went down well with all her friends. So much so that it very quickly disappeared! A few nights ago I watched a wonderful documentary on Hokusai. Since then I have been working on pieces inspired by Mount Fuji, not only the Fuji from Hokusai’s prints but my own memories of the mountain from when we visited there a couple of years ago. 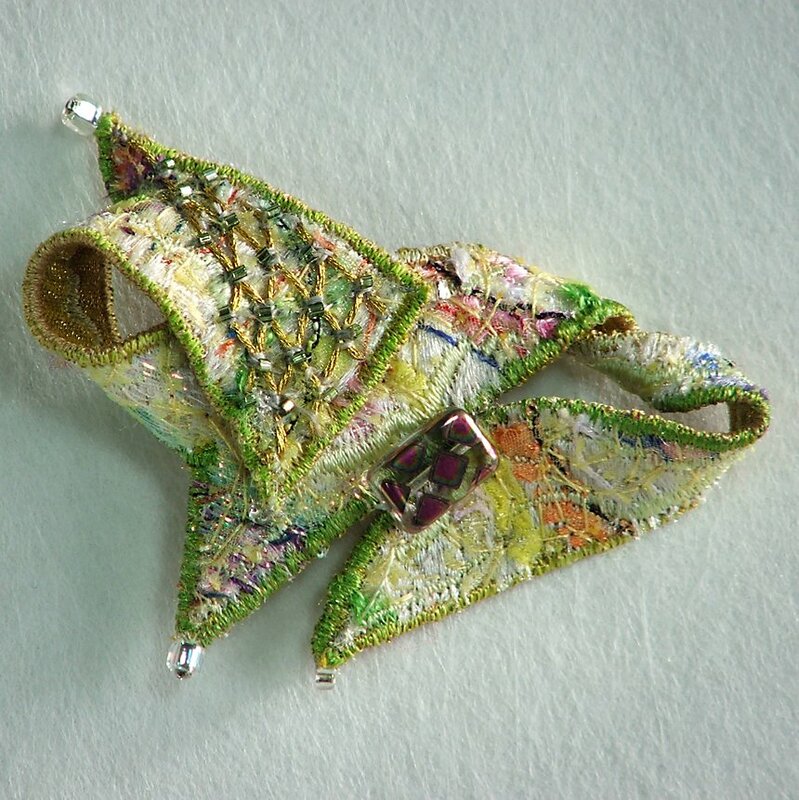 Here are a couple of brooches with a Mount Fuji inspiration. Last week I delivered a new batch of work to The Devon Guild of Craftsmen gallery in Bovey Tracey, South Devon. I have been a member of the Guild for many years and always have work on sale there. 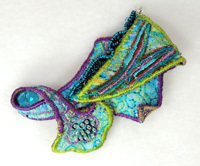 Through June I will be a featured artist in the Guild shop and my work will be on offer at 10% off. I will be doing a day of demonstrations on my work there on June 24th. Here are a few of the new pieces featured this month. If anyone can make it to Riverside Mill in Bovey Tracey on June 24th I would love to meet you and give an insight into how I make my work. Alex and I retired from our part-time jobs in a local school last Friday. I am really going to miss working with young people! The generous staff in the department sent us home with bunches of beautiful flowers and lots of gardening vouchers that will ensure we stay busy. We plan to fit in some more travelling over the next few years, while we are still fit enough to do so. Don’t worry, I have no plans to give up my textile work just yet! Over the summer I put a lot of effort into some new textile necklaces. I recently sold the one I was most pleased with but I thought I would share a couple of images of the piece.